Let’s elaborate. Toppik is famous for hair thickening fibres and now Toppik introduced brow building fibres. If you are naïve like me to brow products, then this product is good enough to make you more confuse. Yet, it is incredibly simple to master. Hair fibres and wax due come in two small stacked tubs. Brow fibres container has sifter. The set also comes with a duel ended brush for precise application. Although Brush is not of a high quality but it is doing the job well. I lost few bristles from the angled side while cleaning it. 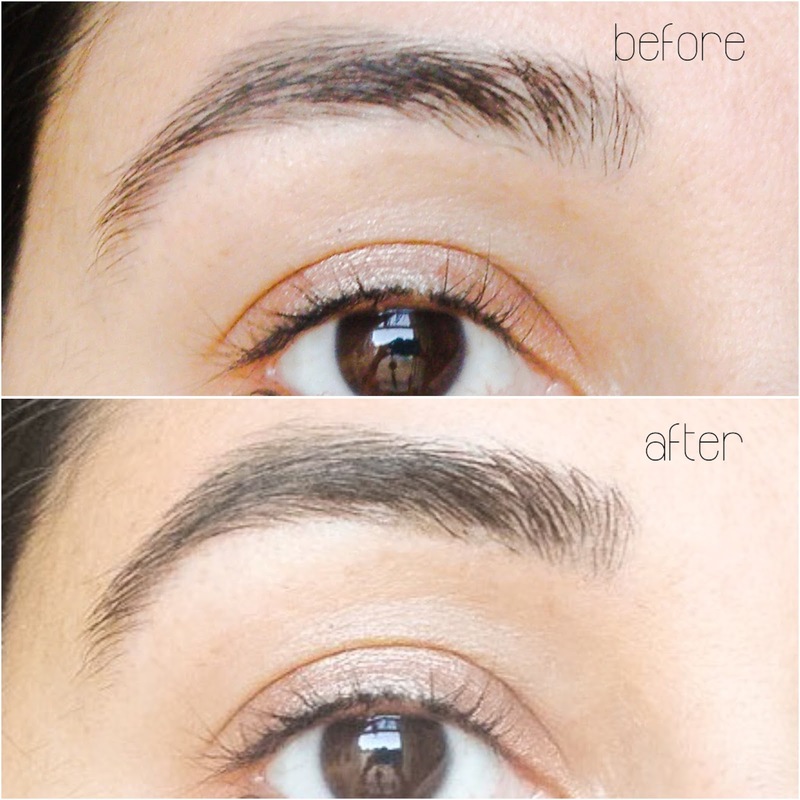 Brow building fibres come in three shade, light brown, medium brown and dark brown. I got the shade medium brown and it is a perfect match for me. The eyebrow conditioning wax is made of beeswax, mango, shea and cocoa butter, avocado and jojoba oils. 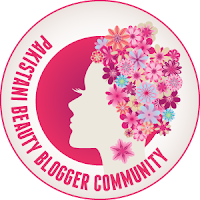 Brow wax provides a good base for fibres and also nourishes the hair follicles, leaving hair rather soft. It is also good to tame down hair and keep them in place if you are not in a mood of applying any fibres on top. It is not tacky or sticky and doesn’t make skin greasy. Always start with small amount and lightly coat the hair. 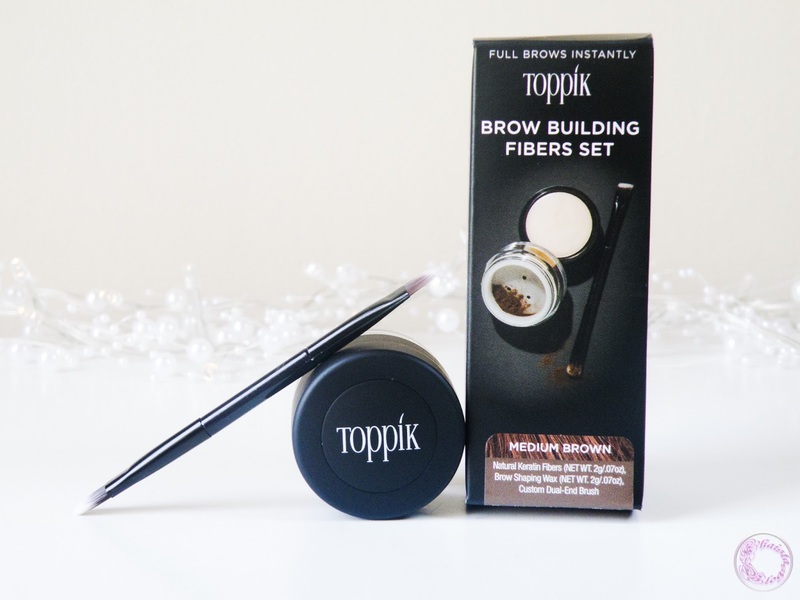 The Toppik brow building fibres are made of natural coloured keratin protein fibres. They have static charge that makes them cling to hair for instantly thicken eyebrows. Fibres are very fine and tiny. They fill the gaps and give very natural and soft look. Don’t overload the fibres. Because if all the hair is coated to the maximum capacity then there will be nothing for fibres to make a bond with. And excess fibres will be all over your face. 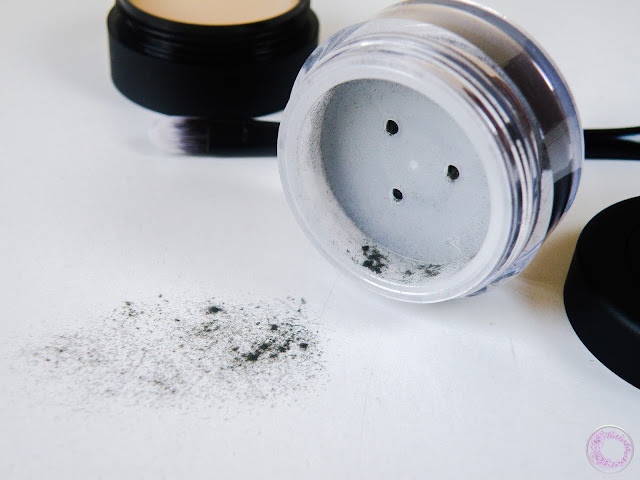 If you accidentally managed to get some on your face, use any makeup brush to brush it off. They come off pretty easily. Application process is fairly simple and fast. I was worried that working with fibres would be very messy but they don’t fly around from the brush. First, with the help of angled side of brush apply the wax. 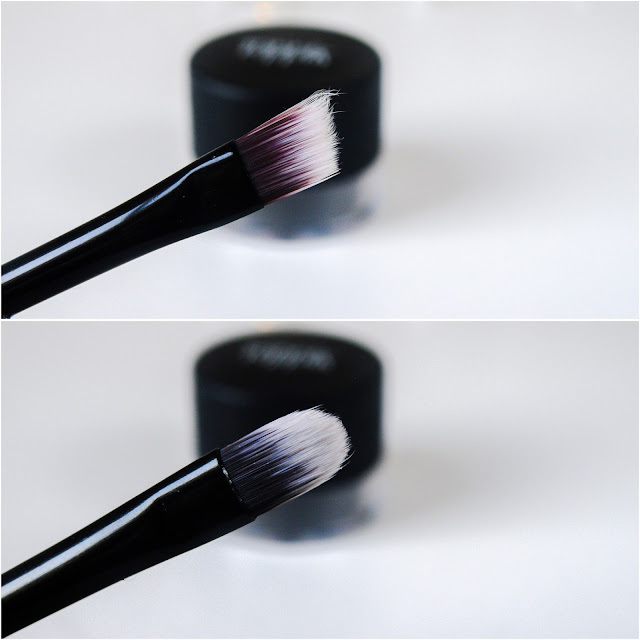 Then with the round side of brush, pick the tiny amount of fibres and coat the eyebrows. I will suggest the dabbing motion as I found it much easier to get the desire results. Swiping motion can move the fibres and clump them. My recommendation for application will be that start with smallest amount and work in layers. Wax and fibres, both are very lightweight. I literally feel nothing on my eyebrows. You can see the difference in my eyebrows. The results were much noticeable in real life. These pictures are not doing the justice to the product though. I did a sloppy job while applying it as well because I was running out of daylight as thick dark cloud cover was engulfing the daylight. The look is definitely not made up and as precise as you get from eyebrow pencil or pomade. Because these fibres don’t stick to the skin or stain it; which is a good thing in my humble opinion. It gives more three dimensional look rather than flat inked eyebrows. I personally prefer a more natural looking eyebrows on daily basis. 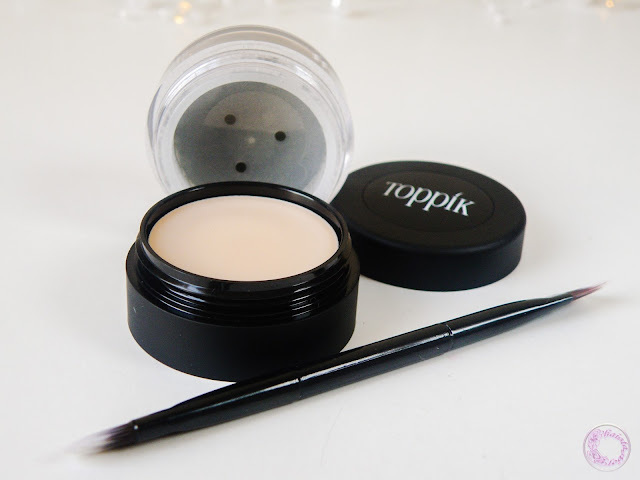 But you can always use pencil or pomade for precise clean lines and then fill in using the Toppik fibres. I was comparing it with Benefit Gimme brow, as that is also fibres based eyebrow gel. I really like Gimme brow due to the ease of application it provides and the packaging. This is equally good product. 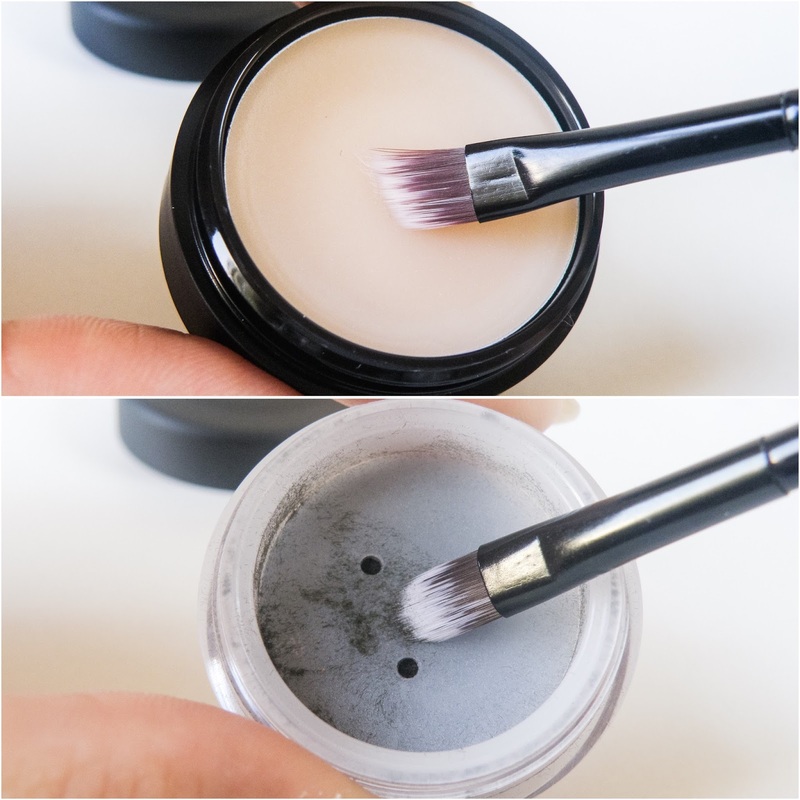 Although here the products are separate and you need to apply it in two steps. A bit high maintenance, nonetheless the result is much more intense than Gimme brow. And the price is also reasonable for the amount of product we get. Toppik Brow building fibres set is available for £16.95. Disclaimer: *This article contains PR sample. The review here is reflecting my thoughts only based on my experience. I always try to give my best opinion on every product I use. I recently tried eyebrow products. But I found this very good. My mom is really liking it. This sounds really good, and something I'd definitely like to try. My eyebrows grow so thin & weird now! When I was a teenager, I thought it would be a good idea to shave them, as opposed to pluck them. I was lazy! It's nice to see a product that thickens eyebrows and makes them look more natural, rather than these horrible drawn-on skinny things that people seem to think looks good at the moment! Haha. Looks like a good product! LOL.... I know right!! This is decent product, no doubt. Sounds like a good product, it's something I could definitely use so I might give it a try sometime. I knew about the hair fibres but was definitely not aware for brows. sounds like a good idea, especially for people with sparse brows. Thanks you for kind words. It is surprisingly very quick to use. I thought it would take a long time but it's not. Product looks so natural on your brow. Very good! But I have never heard of this brand before. This is a very interesting brow kit. Never thought of using so many phases, but the result is pretty amazing! It is a two step process but it doesn't take that much time to apply. this looks lovely, I am 43 and have only just started to do my brows! I still don't feel confident but it looks so much better when you have the right product. It's great to see products that keep the eyebrows looking more natural. This is pretty awesome! I have very sparse eyebrows and I'd love to give this a try. Where can I purchase this? Hey Amna, you can find the link to Toppik UK website in the last line where the price is mention. I still think that despite you preferring pomade it does look good. I fill my brows in as well!